© 2015 The Last Great Movie Company LLC. All Rights Reserved. 'Parody Movie' is Julian Gant's third feature film. Gant also has a background in short films, theatre and improv. He is currently a member of the Improv Bruvas - a Detroit based comedy troupe. 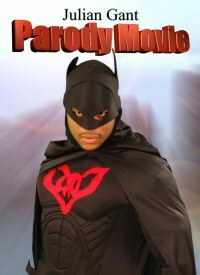 In 'Parody Movie' he plays a variety of roles, including The Dark Bat (featured left).